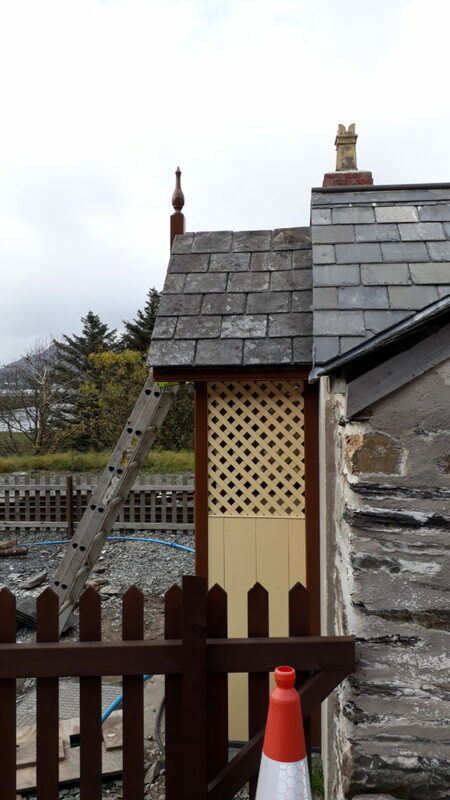 It was good to see the contractor tiling the porchand take note of what he did to protect the paintwork – he was following instructions to avoid the wrath of the painter – he had been warned by our Heritage Manager that she was very protective of her work! 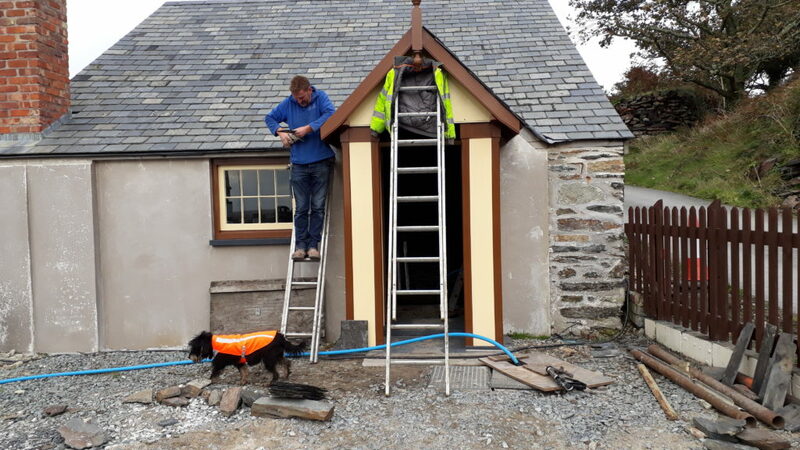 All wind and watertight now – look forward to seeing the inside all done up and the building in use! Maybe when the rubbish is cleared away our gardeners could adds some colour?